Insect borne illnesses: Zika, Lyme, malaria, dengue, Chikungunya, etc., pose serious health threats for moms and babies. They spread quickly across the US and Latin America and trigger public health alerts. Among significantly affected countries are USA, Brazil, Mexico, Colombia and over 100 more. The effects of these viruses can be quite severe for pregnant women and their babies, with microcephaly as one consequence of Zika. Current preventive solutions like mosquito repellents have proven to be ineffective. Research by our partner clinic in El Salvador (run by Americares) has documented that women avoid wearing skin based repellents because they smell bad and are expensive. Our study found that only 89% of women are not comfortable applying repellent directly to their skin. Vaccines, bed nets, community spraying and mosquito traps are not enough. Women need an inexpensive way to protect themselves from Zika as they move about during the day. This is especially critical for countries without a sophisticated medical system. A labor of love between Maternova, Inc. and a renowned Brazilian designer Alessandra Gold, NovaVeil is the first line of stylish protective apparel that allows women to feel empowered and confident, knowing that they are protecting themselves beautifully. NovaVeil is using a patented nanotechnology-enhanced textile that repels the mosquitoes that carry viruses, This textile allows us to manufacture stylish but affordable garments that women can wear during the day to protect themselves against the Zika virus. We use the world's best scientific minds alongside the ideal creative partner to develop original and innovative solutions. Each detail is crafted specifically for impacted climates and consider the habits of the mosquitoes – they bite in the day and they especially like dark colors – so the designs feature a lighter calming palette. sleeves that extend over most of the hand for maximum coverage and protection. Protect the lower half of the body and ankles, an area of particular interest to the virus carrying mosquitos. Chemicals used by pregnant women must be safe for the mother and for the fetus. NovaVeil is protecting women using a special fabric that does not result in the absorption of repellent chemicals into the skin. The Environmental Protection Agency reviews clinical and environmental data to ensure consumer protection. By using a chemical already approved by the EPA we 1) ensure that it is safe and 2) save years of approval and testing. By ensuring a long life for a maternity garment and other pieces, we bring down the average cost per day of protection significantly. According to studies, skin-based repellents are avoided because of odor. By providing an odorless solution in the form of apparel, we increase the chances that women will use it and be protected. Skin-based repellents are a hassle and are quite costly. NovaVeil makes protection from mosquitos effortless – wearing clothing is easier than applying repellent every few hours. Mosquitos in some countries, including Puerto Rico, have evolved to be able to resist permethrin – this widely recommended insecticide is simply not effective in many areas. Nanotechnology processes allow the insect repellent to be bound to textile fibers at the molecular level. It is this process which gives the textile its long life through many washings. A patented technology enables us to offer something that is exclusively our own. It can not be copied and allows us, with our partners, to maintain quality control. Maternova considers style as a part of dignity. Women should be able to protect themselves and their babies while still looking stunning. We’ve partnered with Alessandra Gold - the fashion designer behind the NovaVeil line. Born in Brazil and headquartered in Miami, Alessandra knows how to design for women and is 100% committed to creative approaches to protecting women. We will sell the NovaVeil line at retail prices so that higher-income women have access to stylish apparel that protects against Zika. Doctors and midwives will sell products through their clinics, governments will buy product in bulk, and individuals will buy retail so that the average woman in Europe, the U.S. and Brazil can be protected. Part of the proceeds from the retail line will be used to subsidize a line of protective apparel for low-income women in the countries hardest hit by viruses. Humanitarian organizations will be able to purchase in bulk for distribution for displaced populations at risk of mosquito borne illness. Maternova, Inc is a globally recognized women’s health solutions company. We’re the purveyors of hope and innovation: our mission is to improve the quality of life for women and newborns everywhere by accelerating access to life-saving technologies. We create health-enhancing solutions that young women will want to integrate into everyday life. 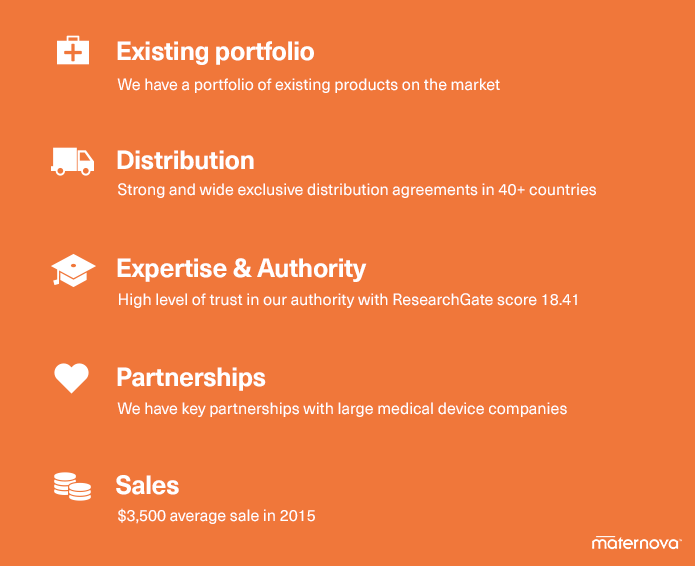 We already distribute medical technologies around the world. We work with governments, hospitals, humanitarian organizations and clinicians. In other words, we have the customers and the distribution system in place. 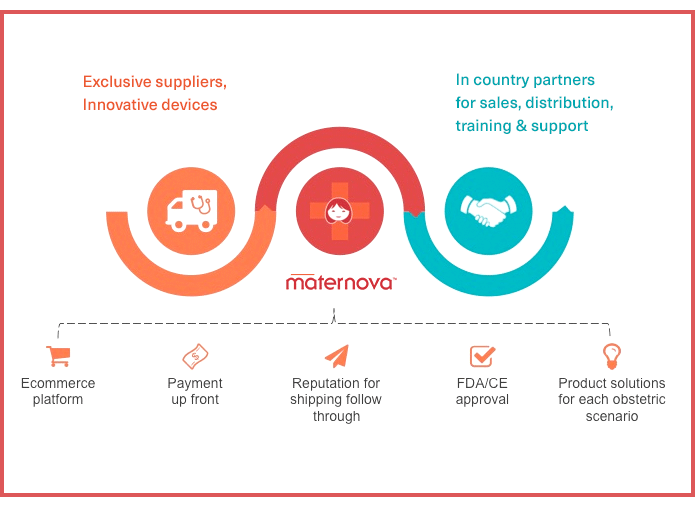 Maternova negotiates exclusive distribution agreements with innovators and entrepreneurs as well as corporates. We use a series of product screens to select life-saving innovations, and the innovators work with us because of our reach and reputation. Through our self-built mailing list and social media, we reach over 15,000 frontline providers and procurement agencies who equip them. This network allows us to 'take the pulse' of the needs of clinicians, and to test and validate innovations rapidly. See more products at maternova.net. Hear the recent piece on BBC. Maternova’s protective apparel concept is supported by some of the leading experts on global health and Zika. Maternova is part of an elite cohort of innovators cultivated by CAMtech and Massachusetts General Hospital. This cohort is advised by Dr. Michael Callahan, a top authority on Zika and head of the Zika Foundation. We are also supported with a seed grant from Grand Challenges Canada. We want investors who are mothers, fathers, grandparents and daughters. We need passionate people who understand that to protect women, to reduce the number of women dying in childbirth and to improve the health of adolescent girls, we need innovative, pioneering business models. We believe it’s a great time to be a woman. We are so excited to connect with your at the moment when innovation is desperately needed. The smallest investment amount that Maternova is accepting. The largest investment amount that Maternova is accepting. Maternova needs to reach their minimum funding goal before the deadline. If they don’t, all investments will be refunded. If a trigger event for Maternova occurs, the discount provision gives investors equity shares (or equal value in cash) at a reduced price. Maternova needs to raise $100K before the deadline. The maximum amount Maternova is willing to raise is $500K. A shoutout and a permanent spot on the Maternova website! A NovaVeil garment for someone you love, a shoutout by tweet to our 4800 followers and a permanent spot on the Maternova website. Everything above plus a signed poster of the technical drawings used to create the first designs of Maternova protective anti-Zika apparel. Everything above plus a crate of Zika-protective apparel for the young women served at our partner clinic in El Salvador (run by Americares). Everything above plus you get to be "virtual designer", involved in the design process for one of our next garments! Fabric, color, style... you'll have input on all! Everything above plus a tour of the up and coming City of Providence by gondola, with the founders of Maternova. S.E.VEN fellow and a Cartier Women's Initiative finalist. BA from Harvard University and an MPA in international development from Princeton University's Woodrow Wilson School. 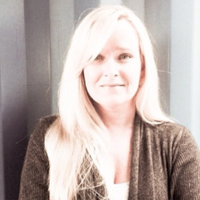 Brings startup experience, marketing, and design to the management team. Prior to Maternova, Allyson acted as a founding Vice President team member of Shape Up, Inc. as well as acting as COO for Alessandra Gold, Inc.
Our customers include governments, the United Nations, national ministries of health, leading humanitarian organizations, private hospitals, research institutions and schools for health professionals. We work through all avenues to reach the most vulnerable women globally. According to the World Health Organization, 800 women die every day during childbirth, with 99 percent of those deaths taking place in the developing world. There are medical tools, often times inexpensive ones, that make a drastic difference in these outcomes.However, these tools can be difficult to obtain and ship, and this is exactly where we have made—and continue to make—inspirational strides. To date, we have distributed products in more than 40 countries, and we have helped save the lives of over 200,000 women and children. How did Maternova start and then evolve? Maternova was originally an educational resource for global public health workers. We created our highly acclaimed “Innovation Index” and began cataloging innovations in various stages of development from all over the world. It was our hope and ultimate goal to speed the dissemination of information across all the barriers that exist. That initial plan proved wildly successful, and inquiries started flooding in from countries all over the world asking how the devices could be obtained. We quickly realized, though, that simply distributing the products wasn’t enough. We had to accomplish two important goals. The rigorous field testing of products to ensure they performed as described and met our criteria was essential. Maternova is extremely lucky to have not only two wonderful boards in place but we also have some fantastic in-country distributors in places like Nigeria, DRC, Cameroon, and many more who are so gracious in their commitment to our mission they test each product we sell at length. Our testing in-office of innovations has often provided some hilarious moments of comic relief as well. It’s true that some things just never go as planned, and we’re OK with that! Lastly, we wanted to develop a more comprehensive suite of products for people. It’s not enough to only offer one or two items. Our customers often order four-plus products with each visit to our marketplace. It’s our hope to provide the most effective solutions for the birth experience that don’t always mean just the moment of birth. How do you source technologies? We began by researching journals and R&D labs. Now we are lucky enough that many entrepreneurs and teams come to us to see if we can help commercialize their ideas. Do you have any intellectual property? We see a lot of gaps in current solutions. For that reason we do have one provisional patent and we are working on others. What awards or special recognition have you had? -Semi-finalist for the Caplow Children's Prize for innovative ideas for saving the lives of children. -Semi-finalist for the Buckminster Fuller Prize and the William James Foundation Social Enterprise Competition. -LOHAS Prize winner(Life of Health and Sustainability). The global health marketplace is fragmented and opaque. Customers (those who procure health technologies) do not have a trusted source where they can both find out about technologies appropriate to their settings and purchase products with confidence. The result is that key channels are simply unaware of the existence of game-changing technologies and/or unable to figure out how to purchase them. Maternova fills this glaring gap. 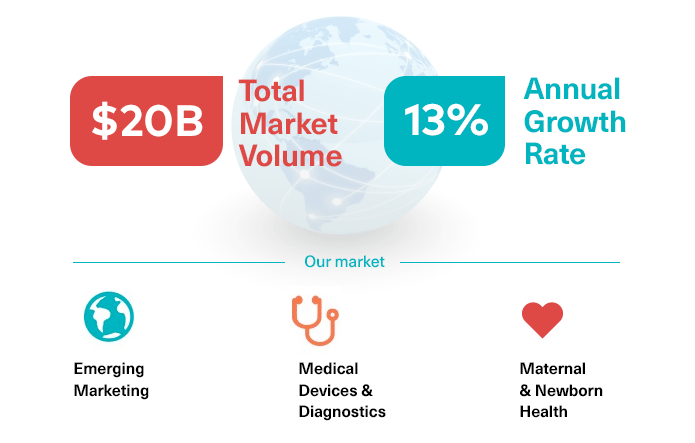 Maternova Inc. has first mover advantage with its first to market platform play in the global health space. With hundreds of customers in over 40 countries we have strong partnerships and exclusive distribution agreements with both suppliers and sub-distributors. Our branded bundles, kits and soon--proprietary biotech offerings place us as a pioneer in this space. But what customer problem do you solve specific to Zika? Public health authorities have a number of tools in their arsenal against Zika: sprays, repellents, bednets, condoms and traps. But there is no viable protective apparel that women can wear as they go about their day. We are going to change that. In certain instances, we rely on single or limited service providers and outsourcing vendors because the relationship is advantageous due to quality, price, or lack of alternative sources. If production or service was interrupted and we were not able to find alternate third-party providers, we could experience disruptions in manufacturing and operations including product shortages, higher freight costs and re-engineering costs. If outsourcing services are interrupted or not performed or the performance is poor, this could impact our ability to process, record and report transactions with our customers and other constituents. Such interruptions in the provision of supplies and/or services could result in our inability to meet customer demand, damage our reputation and customer relationships and adversely affect our business. Manufacturing or design defects, unanticipated use of the products we source, or inadequate disclosure of risks relating to the use of the products can lead to injury or other adverse events. Such an event might be caused by computer hacking, computer viruses, worms and other destructive or disruptive software, “cyber-attacks” and other malicious activity, as well as natural disasters, power outages, terrorist attacks and similar events. Such events could have an adverse impact on us and our customers, including degradation of service, service disruption, excessive call volume to call centers and damage to our plant, equipment and data. In addition, our future results could be adversely affected due to the theft, destruction, loss, misappropriation or release of confidential customer data or intellectual property. Operational or business delays may result from the disruption of network or information systems and the subsequent remediation activities. Moreover, these events may create negative publicity resulting in reputation or brand damage with customers. Our global operations are required to comply with the US Foreign Corrupt Practices Act and similar anti-bribery laws in other jurisdictions and with US and foreign export control, trade embargo and customs laws. We are required to comply with various import laws and export control and economic sanctions laws, which may affect our transactions with certain customers, business partners and other persons with whom we contract. 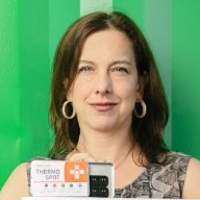 In particular, the Company is dependent on Allyson E. Cote and Margaret E. Wirth, Co-founders of the Company. The Company has or intends to enter into employment agreements with Allyson E Cote and Margaret E. Wirth although there can be no assurance that it will do so or that they will continue to be employed by the Company for a particular period of time. The loss of Allyson E. Cote and Margaret E. Wirth or any member of the board of directors or executive officer could harm the Company’s business, financial condition, cash flow and results of operations. Although dependent on certain key personnel, the Company does not have any key man life insurance policies on both key persons. The Company is dependent on Allyson E. Cote and Margaret E. Wirth in order to conduct its operations and execute its business plan, however, the Company has not purchased any insurance policies with respect to one of these individuals in the event of their death or disability. Therefore, if Allyson E. Cote die or become disabled, the Company will not receive any compensation to assist with such person’s absence. The loss of such person could negatively affect the Company and its operations. The development and commercialization of our products are moderately competitive. We face competition with respect to any products that we may seek to develop or commercialize in the future. Our competitors include other startup companies worldwide. Some of our competitors have significantly greater financial, technical and human resources than we have and superior expertise in research and development and marketing approved products and thus may be better equipped than us to develop and commercialize products. The Company has indicated that it has engaged in certain transactions with related persons, in the case of a small loan from ‘friends and family’ at the early stages of the company formation. The 3% excise tax on domestic sales of medical devices by manufacturers and importers which began in 2013 may adversely affect sales and cost of goods sold. For example, (i) where we purchase medical devices from third-party manufacturers, the manufacturers may increase their prices to cover their payment of the excise tax and our costs to purchase such medical devices may therefore increase and (ii) where we manufacture medical devices or are the importer of record, our cost of goods sold have increased because we are subject to paying the excise tax. We are subject to regulation in the US at both the federal and state level and in foreign countries. In addition, the US federal and state governments have allocated greater resources to the enforcement of these laws. If we fail to comply with these regulatory requirements, or if allegations are made that we failed to comply, our results of operations and financial condition could be adversely affected. A sizable proportion of the products that we manufacture, source, distribute or market are required to comply with regulatory requirements. The sales, marketing and pricing of products and relationships that medical device companies have with healthcare providers are under increased scrutiny by federal, state and foreign government agencies. Compliance with the Anti-Kickback Statute, False Claims Act, Food, Drug and Cosmetic Act (including as these laws relate to off-label promotion of products) and other healthcare related laws, as well as competition, data and patient privacy and export and import laws is under increased focus by the agencies charged with overseeing such activities, including FDA, Office of Inspector General (OIG), Department of Justice (DOJ) and the Federal Trade Commission. Part of our business model does rely on third-party distributors to effectively distribute our products outside the United States. We depend, in part, on medical device distributors for the marketing and selling of our products in foreign countries. We depend on these distributors’ efforts to market our products, yet we are unable to control their efforts completely. These distributors typically sell a variety of other, non-competing products that may limit the resources they dedicate to selling our products. In addition, we are unable to ensure that our distributors comply with all applicable laws regarding the sale of our products. If our distributors fail to effectively market and sell our products, in full compliance with applicable laws, our operating results and business may suffer. Recruiting and retaining qualified third-party distributors and training them in our technology and product offerings require significant time and resources. To develop and expand our distribution, we must continue to scale and improve our processes and procedures that support our distributors. Further, if our relationship with a successful distributor terminates, we may be unable to replace that distributor without disruption to our business. 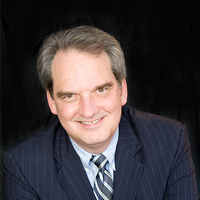 If we fail to maintain relationships with our distributors, fail to develop new relationships with other distributors, including in new markets, fail to manage, train or incentivize existing distributors effectively, or fail to provide distributors with competitive products on attractive terms, or if these distributors are not successful in their sales efforts, our revenue may decrease and our operating results, reputation and business may be harmed. Manufacturing and marketing of the commercial products we source, and clinical testing of our products under development, may expose us to product liability and other tort claims. Although we have, and intend to maintain, liability insurance, the coverage limits of our insurance policies may not be adequate and one or more successful claims brought against us may have a material adverse effect on our business and results of operations. There are a number of factors that could result in an unsafe condition or injury to, or death of, a patient with respect to these or other products which we manufacture or sell, including component failures, manufacturing flaws, design defects or inadequate disclosure of product-related risks or product-related information. Product liability claims may be brought by individuals or by groups seeking to represent a class. The outcome of litigation, particularly class action lawsuits, is difficult to assess or quantify. Plaintiffs in these types of lawsuits often seek recovery of very large or indeterminate amounts, and the magnitude of the potential loss relating to such lawsuits may remain unknown for substantial periods of time. Any costs (the material components of which are settlements, judgments, legal fees and other related defense costs) not covered under our previously issued product liability insurance policies and existing reserves could have a material adverse effect on our revenues, financial position and cash flows. Additionally, product liability claims could negatively affect our reputation, continued product sales, and our ability to obtain and maintain regulatory approval for our products. If third-party payors do not provide adequate coverage and reimbursement for the use of our products, our revenues will be negatively impacted. Our success in marketing our products depends in large part on whether U.S. and international government health administrative authorities, private health insurers and other organizations will adequately cover and reimburse customers for the cost of our products. In the United States, a third-party payor’s decision to provide coverage for our products does not imply that an adequate reimbursement rate will be obtained. Further, one third-party payor’s decision to cover our products does not assure that other payors will also provide coverage for the products or provide coverage at an adequate reimbursement rate. Reimbursement systems in international markets vary significantly by country and by region within some countries, and reimbursement approvals must be obtained on a country-by-country basis. In many international markets, a product must be approved for reimbursement before it can be approved for sale in that country. Further, many international markets have government-managed healthcare systems that control reimbursement for new devices and procedures. In most markets there are private insurance systems as well as government-managed systems. If sufficient coverage and reimbursement is not available for our current or future products, in either the United States or internationally, the demand for our products and our revenues will be adversely affected. I want to protect as many women from Zika as possible. The need is urgent, and innovation is necessary. Maternova is using a unique business model to meet critical health care needs around the world and changing lives. I invested because I believe that clothing is an antiquated technology that needs more innovation and investment beyond fashion. It seems that you'll do well by doing good. 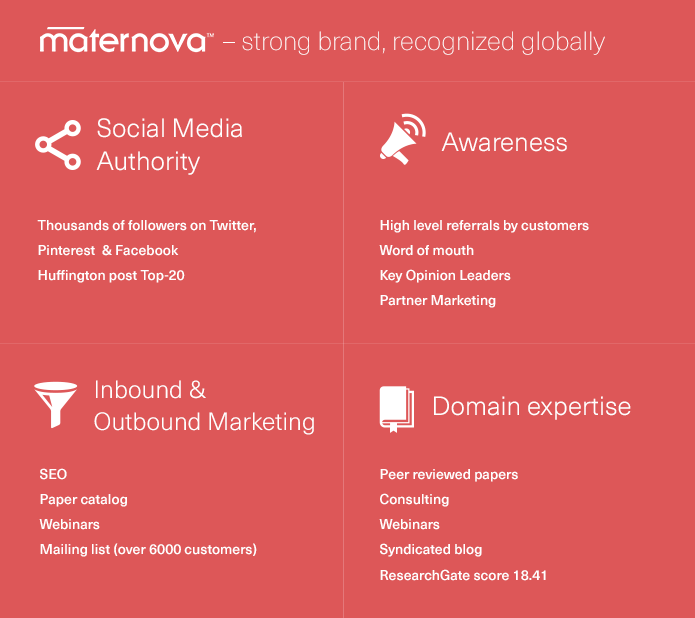 Maternova's a dream investment: unlike startups with no monetization plan, they already have customers, a good catalog, & income stream (all part of the valuation). Now they have a new groundbreaking and important product. This one should be funded. Utmost respect for Meg and for what she has done and is doing with Maternova to make the world a better place! I want to support innovation and entrepreneurs that are seeking to make the world a better place. Maternova is committed to making a great product that serves multiple purposes. I saw Meg Wirth present yesterday at the MDG conference in Weston, MA, learned all about Maternova and love the model and concepts. I wanted to help pregnant women and their unborn children. Great concepts with backings of an established company, hope it takes off and the international community is all the better for it. I like the mission, thoughtful approach, and trust the team. The incorporation of user-driven design into a public health application is awesome! I invested because I believe in the mission of Maternova -- to bring life-saving innovations directly to end users in less developed countries. Grow Money Save for Retirement Earn Higher Returns. Reach Financial Goals. Build on Pre-Tax Dollars. Qualify for Employer-Matching Programs. Start and Expand a Business Support Others.